I’m absolutely in love with this oil. It is infused with wild rose petals and it smells lovely. I’ll admit, that I’m not a skincare expert, and I’m often hesitant to try to skincare products, but this one works! I apply it before bed in the evening, and I wake up with clearer, brighter skin. This vitamin C oil is rich in omega 3, 6, 9, fatty acids, and vitamins A and C. “It provides significant antioxidant action while repairing the look of fine lines and wrinkles and improving skin’s overall tone and texture.” I really notice the difference each day. 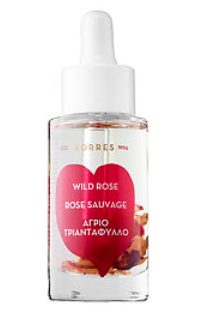 This is my first time using the KORRES brand, and I’m already looking for additional products. This little beauty is perfect for a quick fix, if you’re on the go. 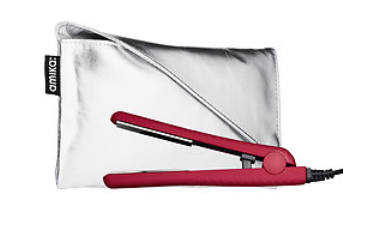 It’s small enough to fit into a handbag and heats up quickly. I don’t straighten all of my hair with it, but I use it for a touch up as I’m heading out to my events. I love a great lip color with staying power. I always forget to reapply lipstick throughout the day, so this one is perfect. It comes in several fabulous shades as well. I love “Cruella” and “Damned”. These colors are also beautiful when layered with a gloss to add a bit of shine. I switch my fragrances fairly often, and I usually buy the small rollerball bottles so that I have a variety of options. They are also great for travel, and you can throw them in a bag with ease. 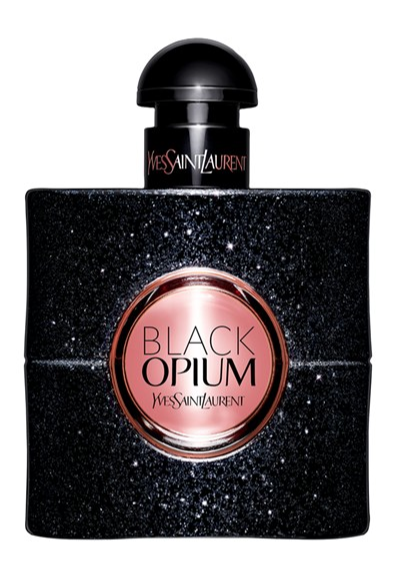 I’ve recently discovered Black Opium by YSL, which is a sweeter, glamorous scent and I just love it. I’ve yet to purchase the bottle, but I may just have to break down and splurge on it. I’m a huge fan of Bumble and Bumble. 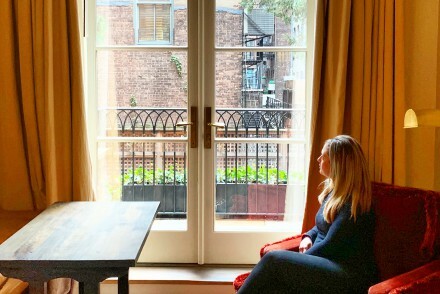 I get my hair colored at Bumble, by fabulous blonde bombshell, and expert colorist Zoe Wiepert. I love several of their products. The Hairdresser’s Invisible Oil has truly strengthened my hair. 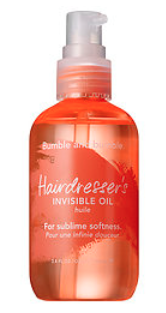 It also adds shine, tames frizz, and protects against breakage. I tend to have dry ends because of all the heat treatment I use, so I apply this oil to my ends after I shower. The product smells amazing, and I’ve definitely noticed a difference in my hair. It feels thicker and much healthier. Give this product a shot. I think you’ll love it.